Mark is dynamic system that’s flexible enough to exist in multiple context and still be interesting. Process is that singular concept or idea and articulated through form in many different ways so that mark not only becomes container for content but also plays notion of Los Angeles being center point for all these different cultures and people, so that intersection is defined in exoskeleton of X. Originally from Mexico City, Gabriel Dawe has created site-specific installations exploring the connection between fashion and architecture using bright gradients of suspended thread with the philosophy how they relate to the human needs for shelter in all its shapes and forms. His work is centered in the exploration of textiles, aiming to examine the complicated construction of gender and identity in his native Mexico and attempting to subvert the notions of masculinity and machismo prevalent in the present day. I chose Gabriel Dawe as my artist of exhibition art for his imagination and art works, colorful and connected to one intersection reminding of intersect and interlock just like the definition of my mark. The mark was redesigned to embody a dynamic system flexible enough to fit into diverse contexts but still remain interesting. The redesign underscores a definition of L.A. with a refreshing, gratifying look. The new LAXART logo contains a form of X that represents view points from different angles and different cultures gathering at the center. “LAX” is an integrative international intersection interlocking and exchanging different cultures. To update the brand, a condensed modern typeface was used. This rebranding effort aims at providing a new, inspiring identity for the user’s total experience. 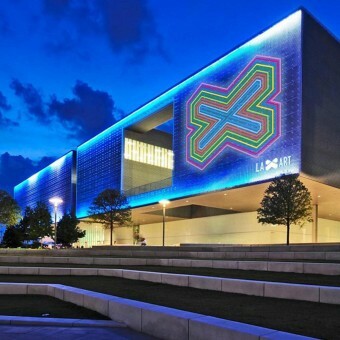 The new LAXART mark was designed to celebrate the lives animated throughout the city through its multiple colors and layers of X-shaped lines. The colors and X's are built on each other to represent the diversity of Los Angeles. The logo can also be adapt to a variety of surfaces and mediums, subtly shifting from print to web and other interactive environments to accommodate itself to the continually diversifying city. As David Mocarski, Chair of Art Center College of Design put, “Environmental Design is a human-centered discipline that is focused on the design of a user’s total experience. We span the creative environment between spatial, object and emotional communication.” Transmedia design is approach to communication design that underscores designers to develop a broad range of skillets in order to communicate through both traditional and emerging media in a very seamless way. Inherent in this approach is a firm understanding of the unique opportunities and characteristics of each media type ranging from the materiality of print-based communications to the dimensionality of the environmental design, to the dynamics of network interactions, and to the glowing subsidiaries the screen. Transmedia design focuses on the design of the total spatial experience—from the first moment of encounter to the last moment of interaction. The strength of a project’s message is based on the power of the story content and context that it defines, the interaction it creates, and the emotional interface that it accomplishes. Transmedia storytelling is a new form of art, where unique pieces of narrative content are designed to simultaneously unfold in non-linear arcs across multiple platforms using digital technologies. It mixes traditional media arts with performance-based arts, and game systems that provide structure and rules for play. I believe branding also affects product, creates language, gives life to the design, interacts with brand, adds values to product, and keeps brand equity. My goal as a designer is to inspire innovation, pursue perfect quality, consider the future, universal sensibility, wow factor, and leg up with competition. Branding is simple organization to make brand memorable. My sensitivity to how color can be applied to a form, how materials affect the perceived quality and how a finish can boost the overall essence of a product. Singular concept or idea is articulated in a form in many different ways so that the mark not only becomes a container of contents but also materializes the notion of Los Angeles being a center point for all these different cultures and people as the intersection is defined in exoskeleton of X. This mark is so flexible that it can change into a 2D or 3D logo mark, become lines within shape, be divided in half, or breathe like excitement of LA in animation. LA is a place where a diversity of people coexists to influence each other and diverse view points are accepted and communicated. Values are created, shared, and evolve. Difference is often regarded strengths, not weaknesses. Diverse layers of cultures offer design opportunities for new identity. This museum is supposed to bring LA-based artists and artworks to one space. Unfortunately, there has been no explicit agreement on that LAXART is place for artists around LA. The LAXART Museum Project gives the museum a strong image of a symbolic place for LA artists. 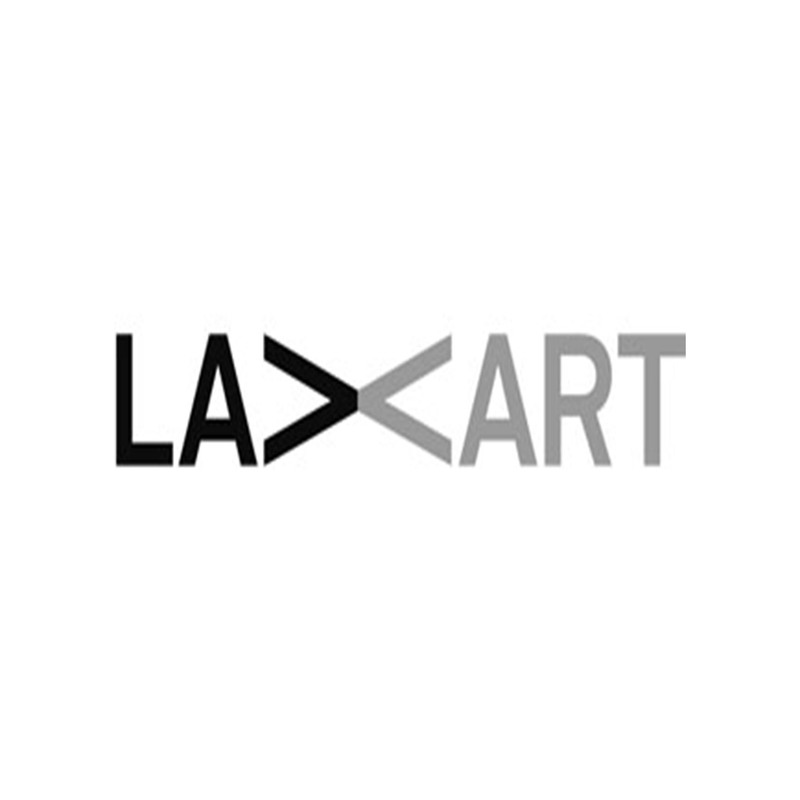 The LAXART logo was designed to reconfirm an engaging, integrative, and multicultural image of LAXART. 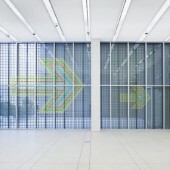 The goal of LAXART is rebranding the museum's identity as well as the graphic design identity. Transmedia rebranding design for LAXART museum is a project to engage the millennial generation and develop design solutions while experimenting with a wide range of media including print campaigns, product packaging, book and magazine layouts, interactive communication, website, media art, 3D graphics, virtual environments and creation of graphic identities and branded experiences. images are pulled from getty for environmental background. postcards images of thread is art work of Gabriel Dawe's (installation artist) art work. 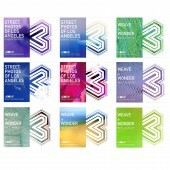 Laxart Museum Transmedia Rebranding by Young Joo Tak is a Nominee in Advertising, Marketing and Communication Design Category. · Click here to register today inorder to be able to view the profile and other works by Young Joo Tak when results are announced. Laxart Museum Transmedia Rebranding by Young Joo Tak is Winner in Advertising, Marketing and Communication Design Category, 2013 - 2014. · Press Members: Login or Register to request an exclusive interview with Young Joo Tak. · Click here to register inorder to view the profile and other works by Young Joo Tak. Did you like Young Joo Tak's Advertising Design? 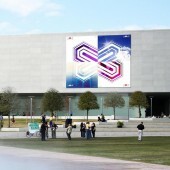 Did you like Laxart Museum Transmedia Rebranding? Help us create a global awareness for good advertising design worldwide. Show your support for Young Joo Tak, the creator of great advertising design by gifting them a nomination ticket so that we could promote more of their great advertising designs.